(Lindenwold, NJ) – Freeholder Susan Shin Angulo, liaison to the Camden County Department of Public Works, has been informed by South Jersey Gas that it is beginning two projects across the county starting next week. SJ Gas will begin phase one of a two-phase gas main replacement in Pine Hill and Winslow Township beginning on Monday, April 16. That same day, work will begin on Phase 6 of the ongoing Camden County Upgrade Project in Lindenwold. The Pine Hill project will begin on April 16, and is expected take place until Friday, April 20. Crews will be between Surrey Avenue and Atlantic Avenue. Work will commence between 7 a.m. and 4 p.m. Traffic in both directions will continue unimpeded. Phase 6 of the Camden County Upgrade Project will also begin on Monday, April 16. Laurel Road (CR 673) in Lindenwold will be closed to thru traffic between Chews landing Road (CR 683) and Blackwood-Clementon Road (CR 534). Work will take place Monday through Saturday from 7 a.m. to 5 p.m. until the end of the phase. The Camden County Upgrade Project will upgrade gas lines in the area to improve service reliability, especially on the coldest days of the year when gas use for heating is at its peak. Precise timing of the work is subject to change due to weather or other factors. 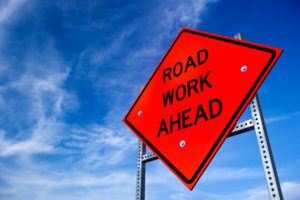 Information regarding the project, detours, and completion dates will be periodically updated online at https://www.southjerseygas.com/construction.